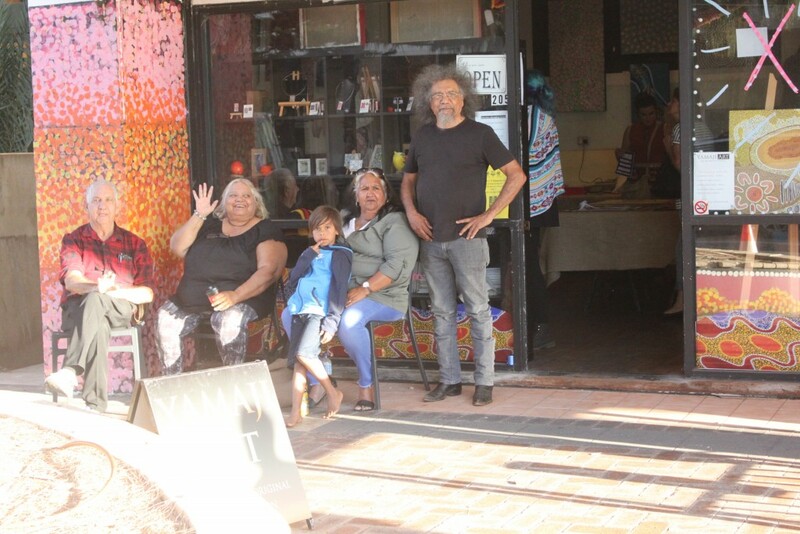 Yamaji Art recently participated in Geraldton’s annual Xmas on the Terrace on the 8th December 2016. It was certainly a busy day for the art centre with an estimated 1100 people through the doors from 9am – 8:30pm. 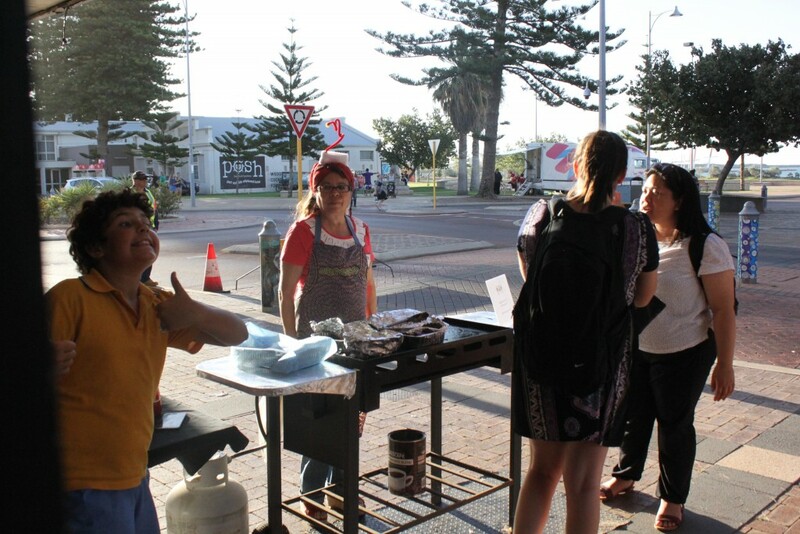 Staff, artists and board members all rallied to make the day successful even helping out with the very welcomed Kanga Banga sausage sizzle. Many of the public in attendance gave positive feed back to the centre staff often commenting on the amazing array of works on display and how colourful they are. Many christmas presents were purchased on the night!